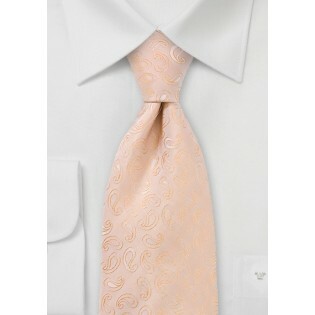 Fine-tune your warm weather ensembles with this fun and flirtatious paisley patterned tie in a palette of sorbets and peaches. The whimsical and playful motif looks sensationally new and modern and pairs beautifully with soft toned suits and blazers. 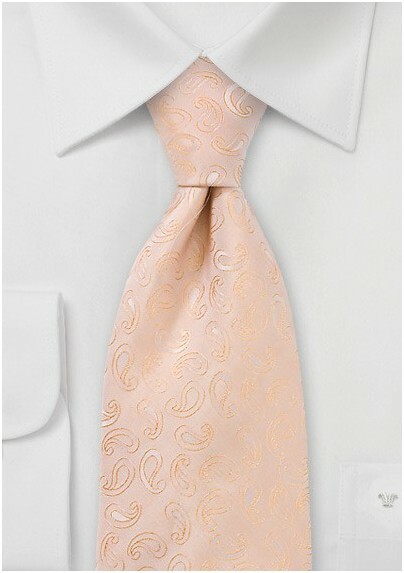 Create a picture perfect summer inspired ensemble by pairing this uber-creative necktie with an solid ivory toned button down and a light weight, taupe hued suit with a coordinating peach pocket square. Crafted from a grade A silk.